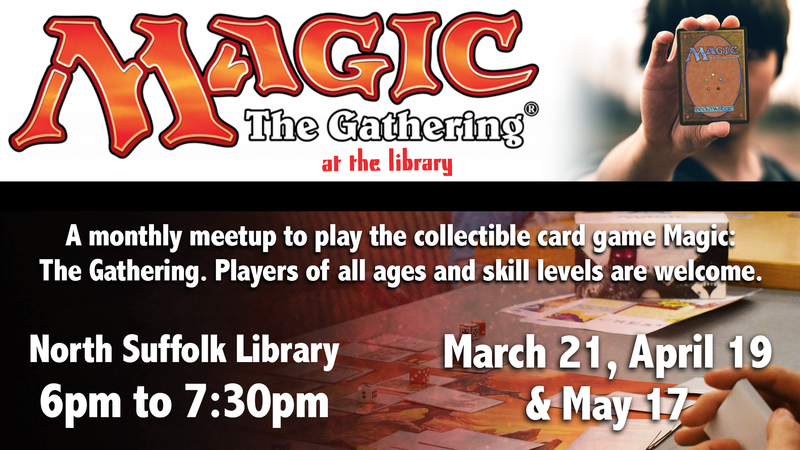 Join us for Thursday night Magic! New players and all ages welcome. Free starter decks for new players! In addition, participation cards will be given at the end of each meeting. Starter decks courtesy of Atlantis Games & Comics. SPL events are free to attend and open to people of all abilities. If you or someone in your party will require accommodations in order to participate, please call 757-514-7323 and ask to speak with a manager or contact sdorsey@suffolkva.us. You do not need to be a library member in order to attend.